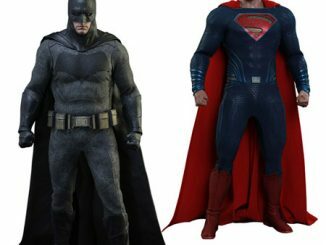 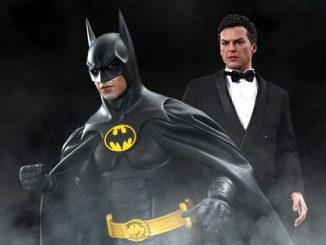 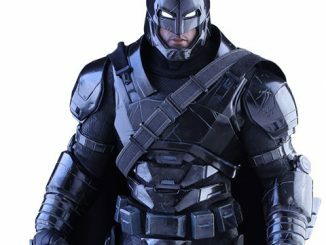 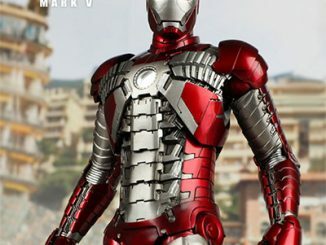 Does the armor make the man or does the man make the armor? 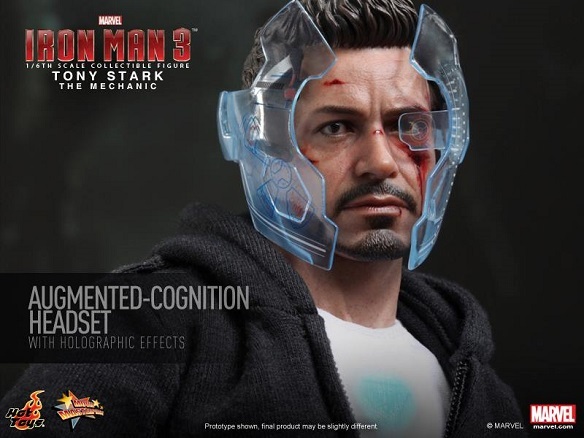 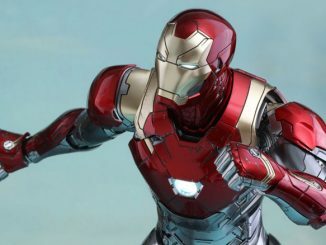 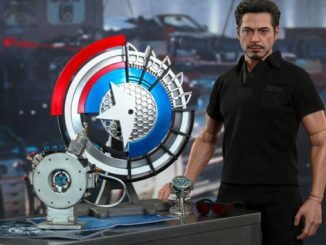 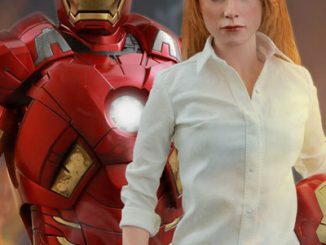 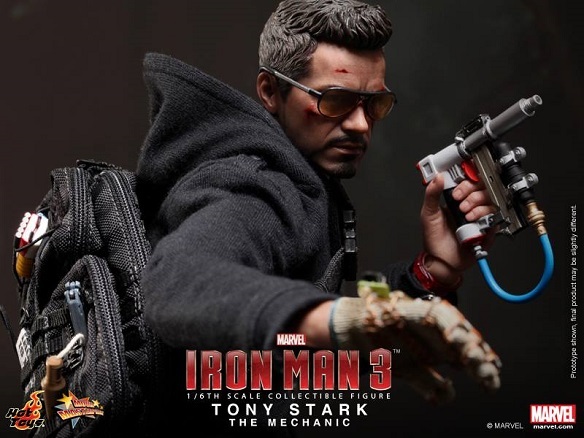 The Tony Stark (The Mechanic) Sixth Scale Figure captures Robert Downey, Jr. as he answers that question in Iron Man 3, relying on his intellect in the absence of the familiar red-and-gold armor. 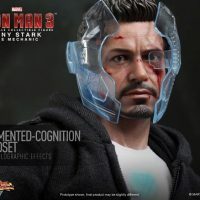 IM3 had Tony Stark facing a lot of challenges but he proved that he was more than capable of dealing with the Mandarin, and he didn’t need any hi-tech armor to do it. 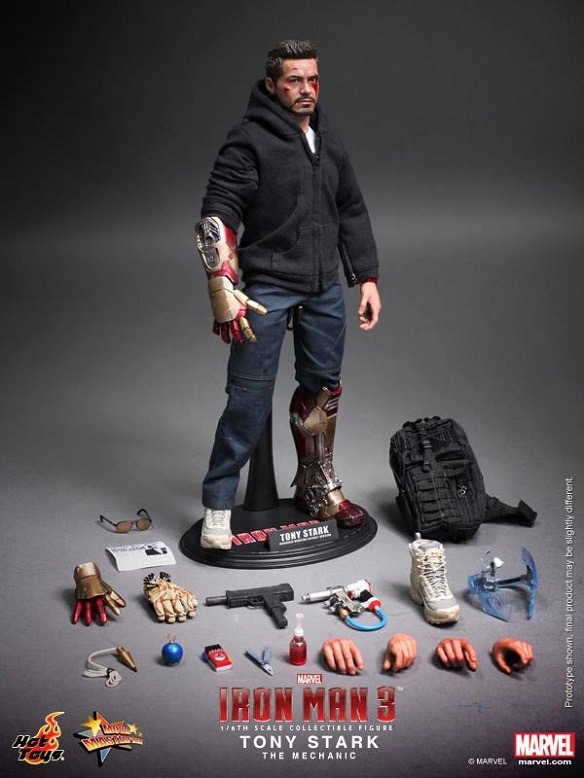 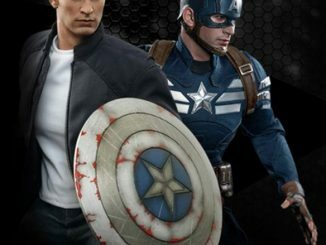 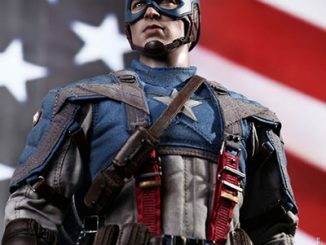 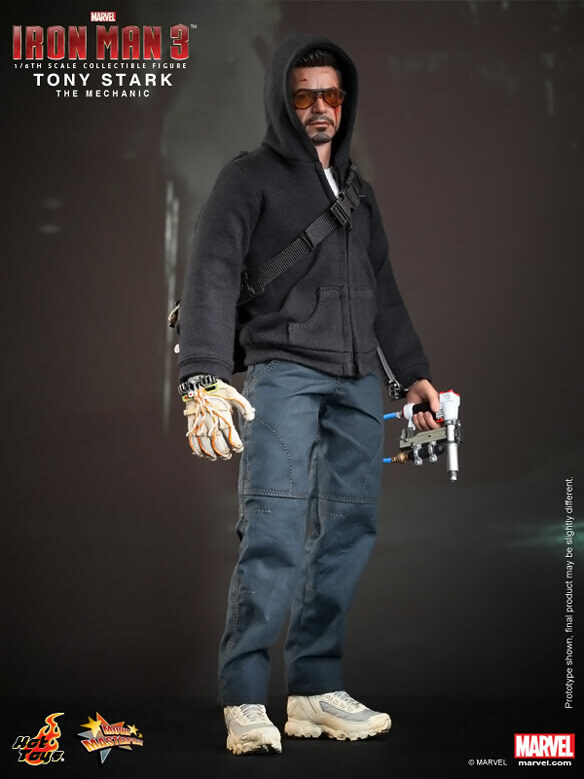 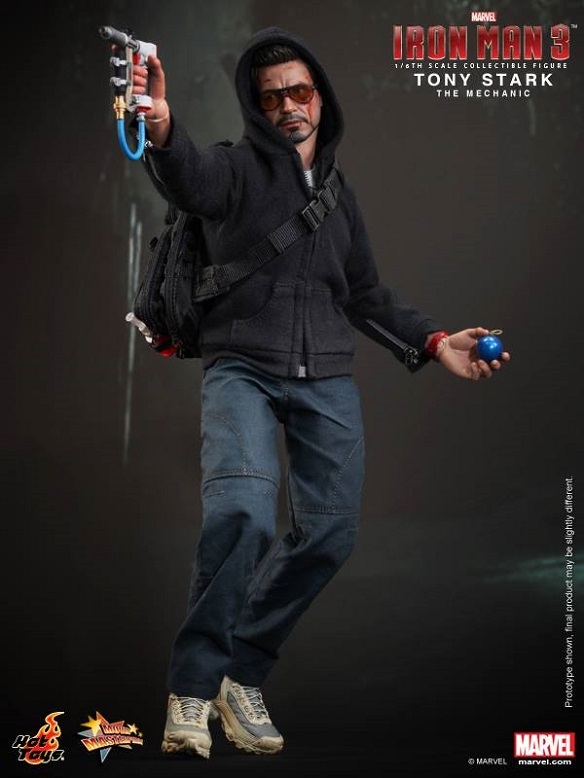 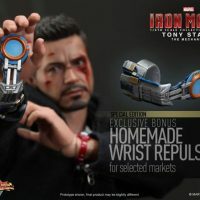 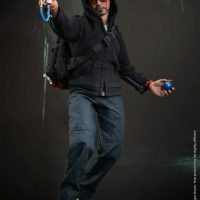 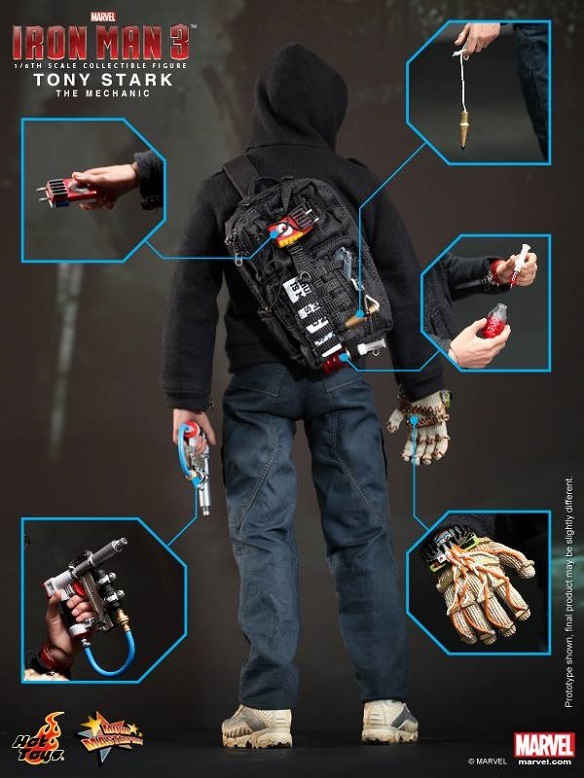 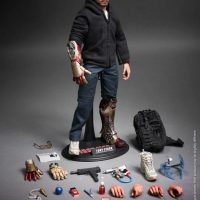 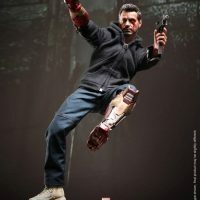 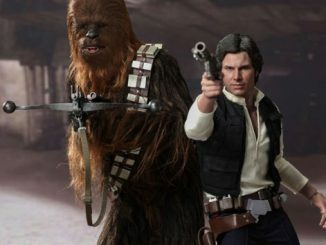 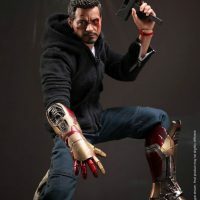 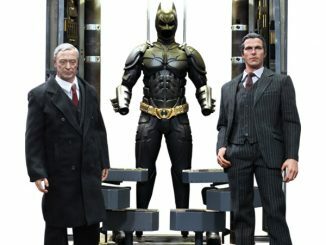 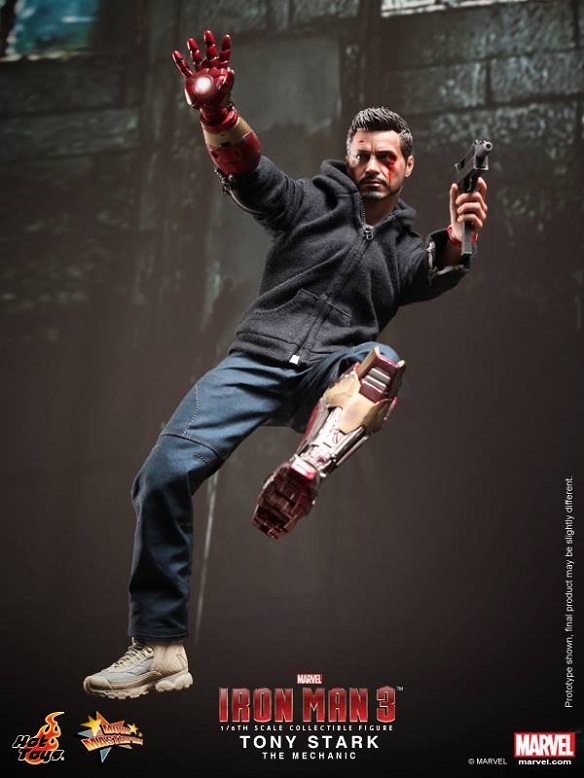 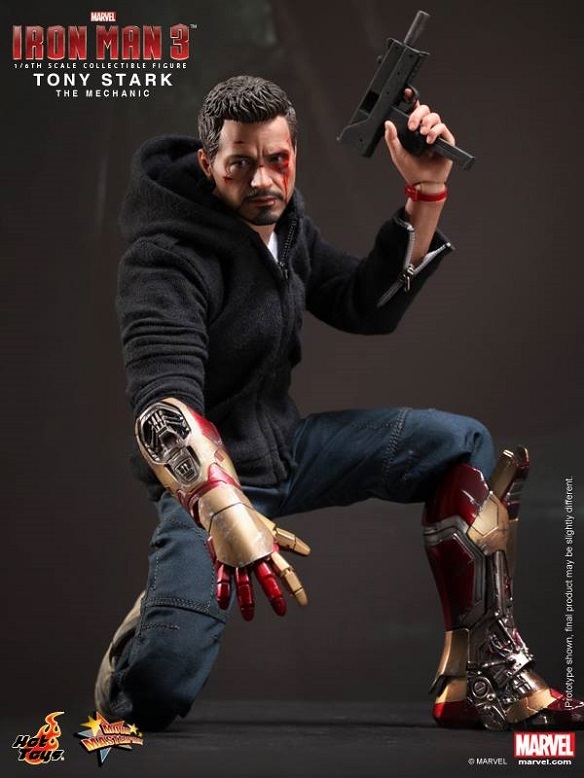 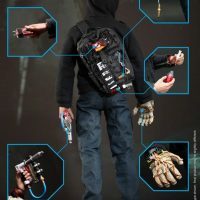 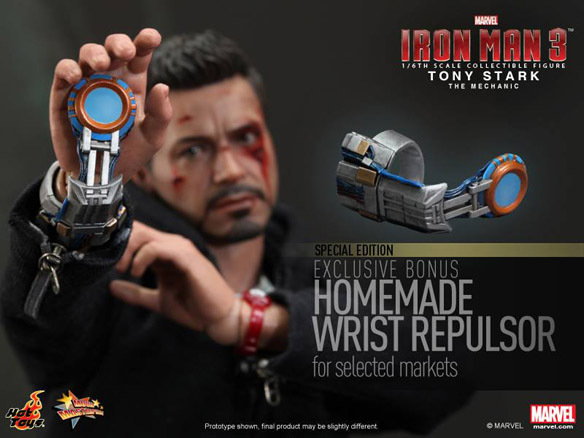 The sixth scale figure features an authentic and detailed likeness of Robert Downey Jr. as a bruised-up Tony Stark wearing civilian clothes and toting a backpack filled with everything he needs to take the bad guy down. 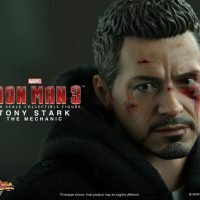 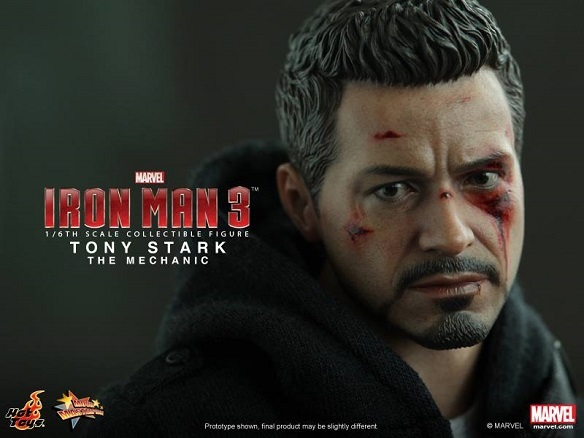 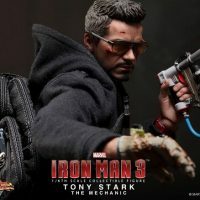 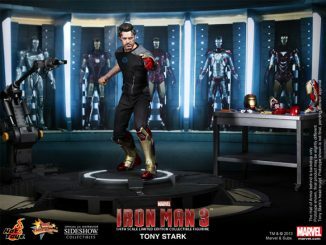 The Tony Stark (The Mechanic) Sixth Scale Figure will be available April 2014 but can be pre-ordered now for $224.99 (or for as little as $75.00/mo) at Sideshow Collectibles.